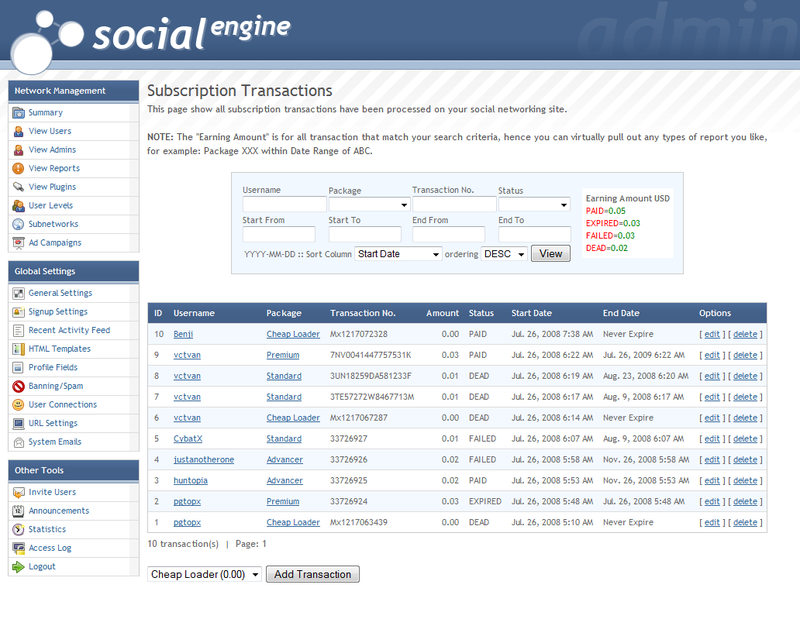 This plugin allows you to monetize your social network. 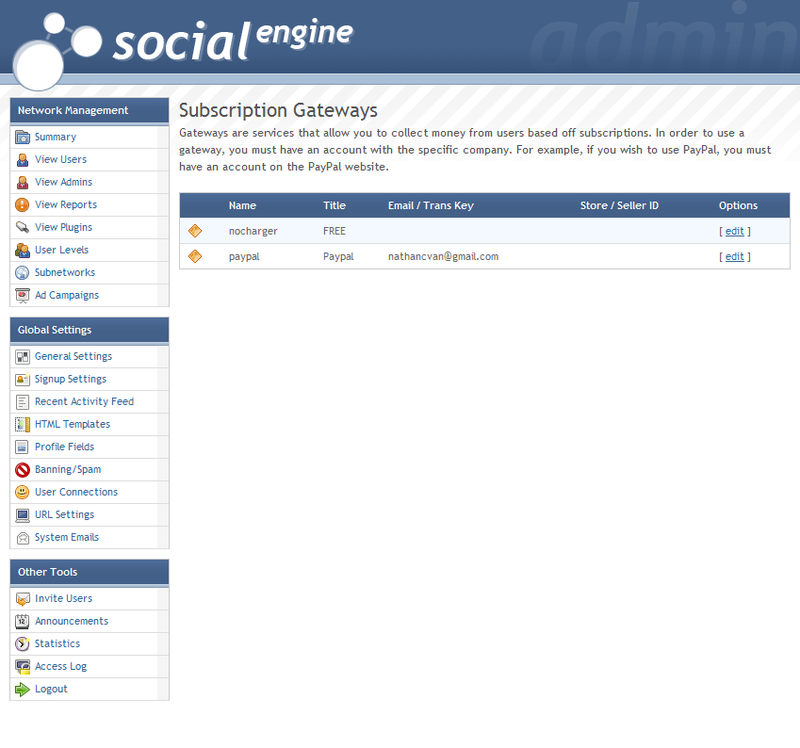 Using the subscriptions system you could charge for access to the entire site, or for special features, plugins, spaces etc.. which you can easily config through user level setting. This plugin is extremely easy to install, and will make you rich in no time!! 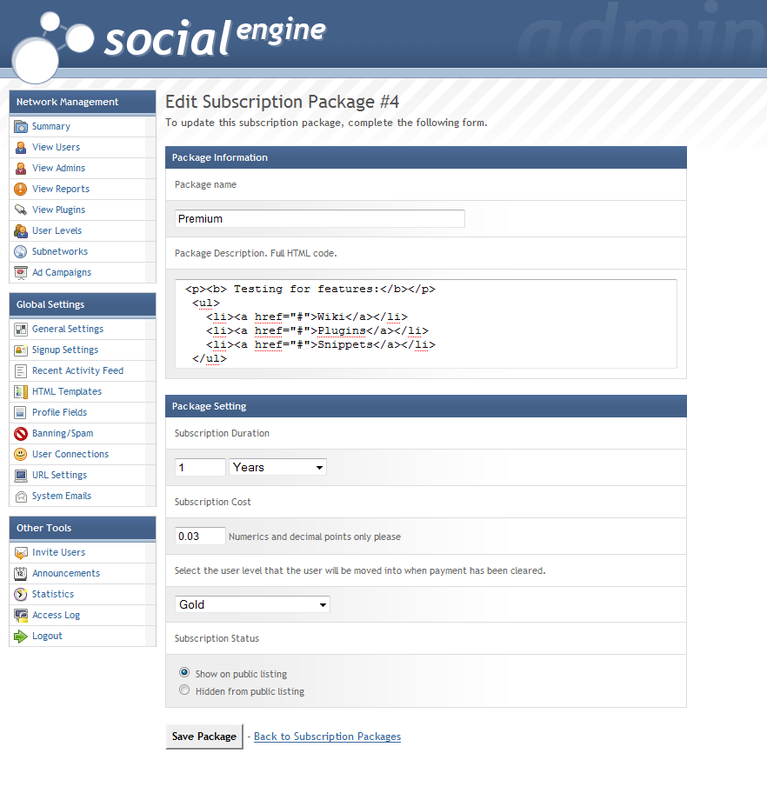 Create multiple subscription packages with different cost (charge/free), duration, access etc.. 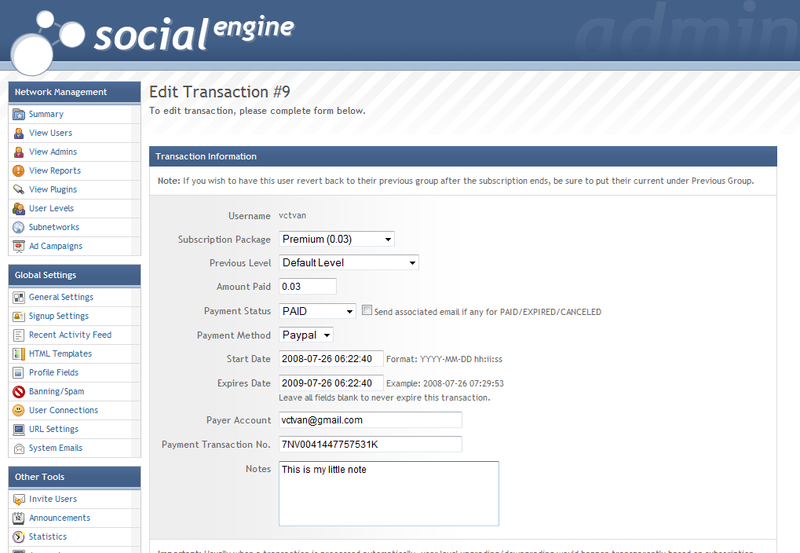 Allow to manually add transaction. Subscription extending and rollover supported. 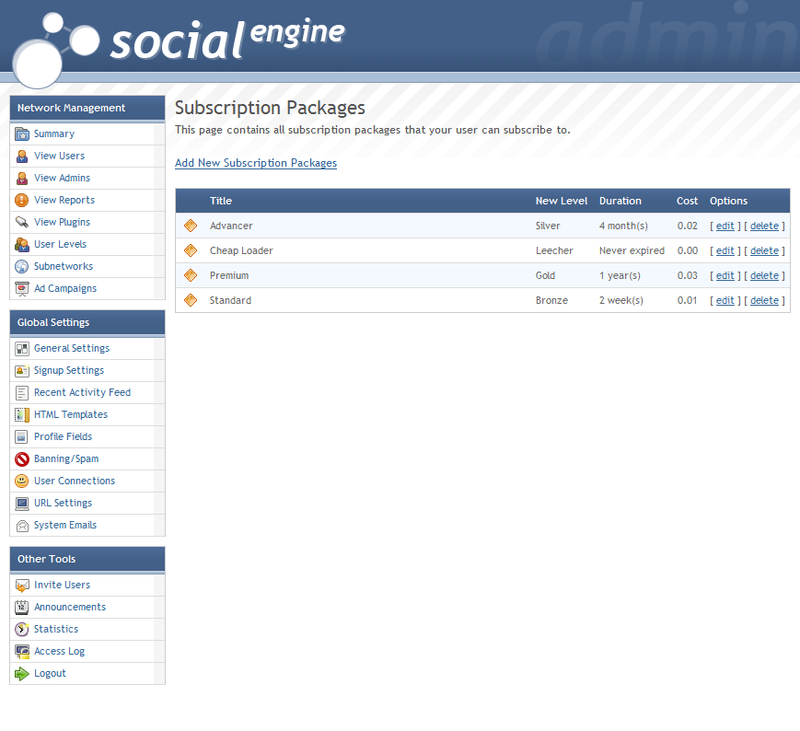 Automate upgrading and downgrading when subscription expires. Instead of making a long list, please check out screenshot. 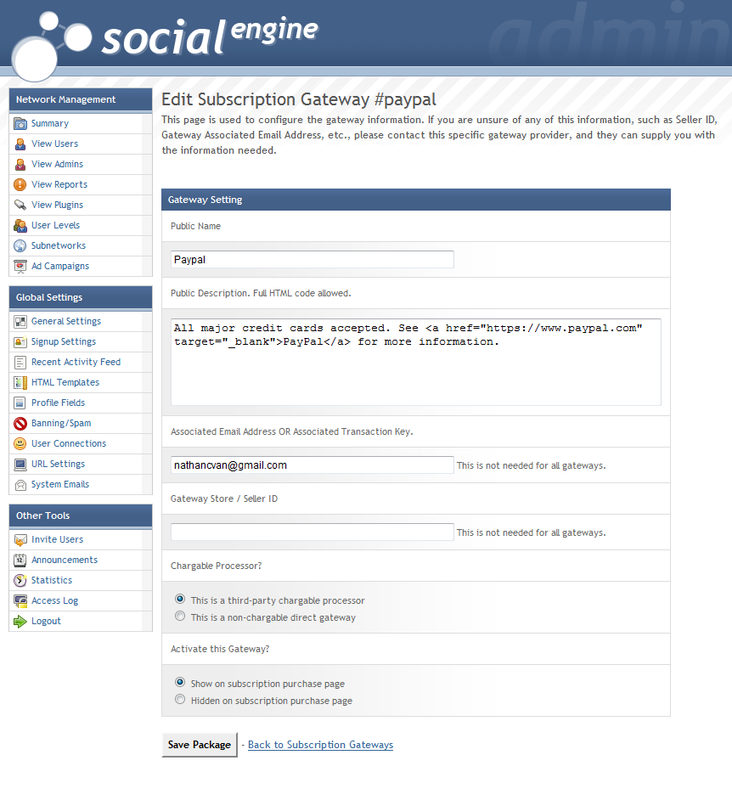 This plugin is extremely easy to use for both admin and user, everything is streamlined. So just relax, sit back and let money roll into your bank.